Get the best deal for your holiday in Malaysia! Don’t miss out! 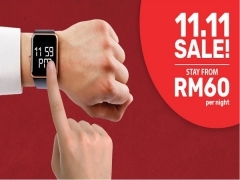 This promotion is valid from 11 – 13 November 2018 or until all promotional rooms are sold out, whichever is earlier. Rates quoted are inclusive 6% SST.